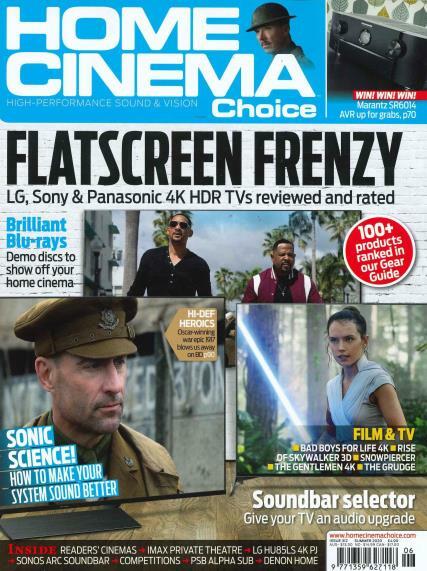 Home Cinema Choice is the ultimate monthly magazine for passionate AV enthusiasts. Each issue is packed full of in-depth knowledge and reviews on all the latest products. Buy a single copy or subscription to Home Cinema Choice magazine. Home Cinema Choice magazine first launched in 1995 and has been providing valuable information to its reader ever since. The magazine features the hottest products, in-depth interviews, special reports from global electronics shows and competitions with amazing prizes. Plus, learn about the best equipment with reviews on performance and in-depth tests you can trust. Find all the latest Blu-rays, DVDs and videogames reviewed and rated. Home Cinema Choice covers everything from Ultra HD televisions, projectors and receivers, to loudspeakers, Blu-ray players, subwoofers, PVRs, soundbars, media servers, headphones and more.